Say Hi to Kimberly!! She is my blogging friend from Frontierland Station, and she loves Disney History as much as I do!! She and her husband are taking us along on a fun filled day at Hollywood Studios. After our fun day together I am sure that you will want to stop by her blog and say hello! Hello everyone! I'm Kimberly from Frontierland Station, and I'm so excited Donna Kay has graciously asked me to share a day in the parks with you! After winning a trip to Walt Disney World when I was 7 years old, my parents and I were hooked. We returned to the parks every 1 - 2 years until I graduated college and got married. Luckily for me, my husband also shares my love for Disney. We visited the parks on our honeymoon and have returned every 2 years since. For many years, Disney's Hollywood Studios has been one of my favorite parks; after all, it is home to my favorite attraction, Tower of Terror. So we'll be visiting Hollywood Studios today! We'll start the day off with a wake up call at my favorite resort, Pop Century. Be sure to say hello when the phone rings, as the call is voice activated. We'll probably hear my favorite character, Stitch, or maybe even Mickey Mouse telling us it's time to get the day started! After getting ready, we'll head to Everything Pop for a breakfast of Mickey waffles. Next, we'll take in some of the sights of the resort as we walk back to the room while sipping from our resort mugs. Once we've got all of our gear for the park, it's time to head to the buses. 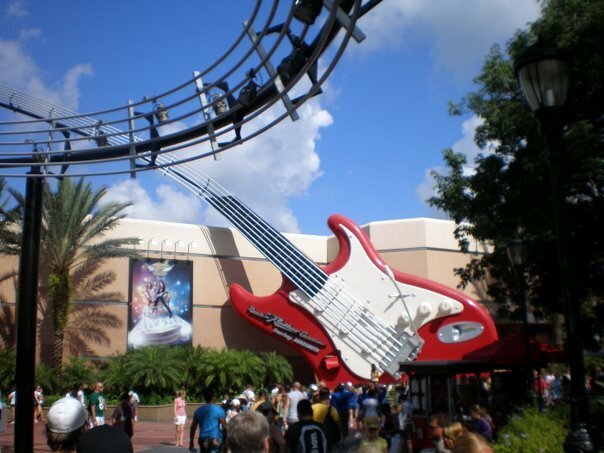 Upon arriving at Disney's Hollywood Studios, we'll walk towards the end of Sunset Blvd. and get a ride on Tower of Terror before the lines get too long. Of course, we'll have a Fastpass for this later in the day too. After we "drop in" to the Hollywood Tower Hotel, it's time to visit my husband's favorite attraction, Rock 'N Roller Coaster. 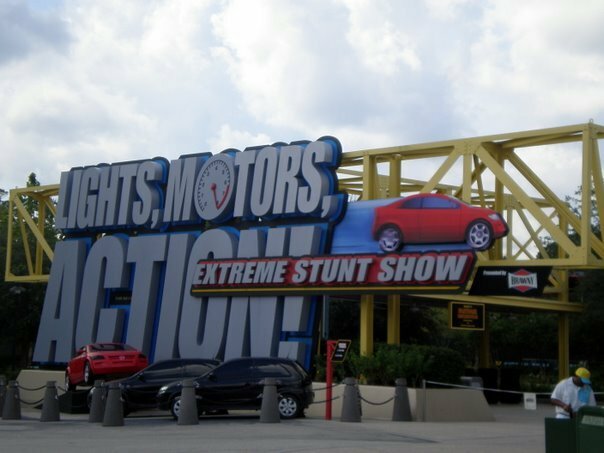 While I love the theme of this attraction, its fast start is a bit too thrilling for me. That being said, I still get talked into riding it multiple times every visit. So we'll return to G Force Records when it's time for our Fastpass later in the day. Speaking of Fastpasses, we'll also get one for Toy Story Midway Mania later in the day. After taking in some thrill rides, we'll visit a few of the stores on Sunset Blvd. as we make our way to Mickey Avenue and then Pixar Place. Since I've never visited One Man's Dream and just recently found out it's an attraction built for Disney history fans like me, we'll definitely stop in. We'll also stop by Toy Story Midway Mania just to take in the sights. If we're lucky, maybe Luxo Jr. will come out to say hi while we're there. Don't worry, we'll come back to ride Toy Story Midway Mania when it's time for our Fastpass. Next, it's off to Muppet*Vision 3D, another one of my favorites. Be sure to notice all of the little details here. There are jokes everywhere! My favorite detail is the tribute to Annette Funicello - a net full of jello hanging from the ceiling. After some cheap 3D tricks, we'll make our way to Star Tours. I recently learned that the Jedi Training Academy takes place year-round, not just during Star Wars Weekends like I thought. So we'll check the schedule to see when we can watch some jedi trainees take on Darth Vader. We'll also take a ride on Star Tours while we're there. I'll miss our old pilot, Rex, but I've heard he can still be found in the new version of the attraction if you know where to look. By now, all of this Disney fun is probably making you a little hungry. We've got late lunch reservations at the 50's Prime Time Café. When I visit the Disney parks, I've found it best to grab a snack if we get hungry after breakfast. We usually have a late lunch so the restaurants are not as crowded. This also allows us to take advantage of slightly shorter wait times at attractions during the lunch and dinner rush. Because the food portions at Disney are so large, my family has found it better to have a late lunch and a snack later, rather than having a large lunch and a large dinner. If you're not using the dining plan, this is also a great way to save a little money. After lunch, we'll take in a few of my favorite Disney shows - The Voyage of The Little Mermaid and Beauty & The Beast-Live On Stage. With its air-conditioned theater and the light mist over the audience, The Voyage of The Little Mermaid is a great way to cool off on a hot afternoon. 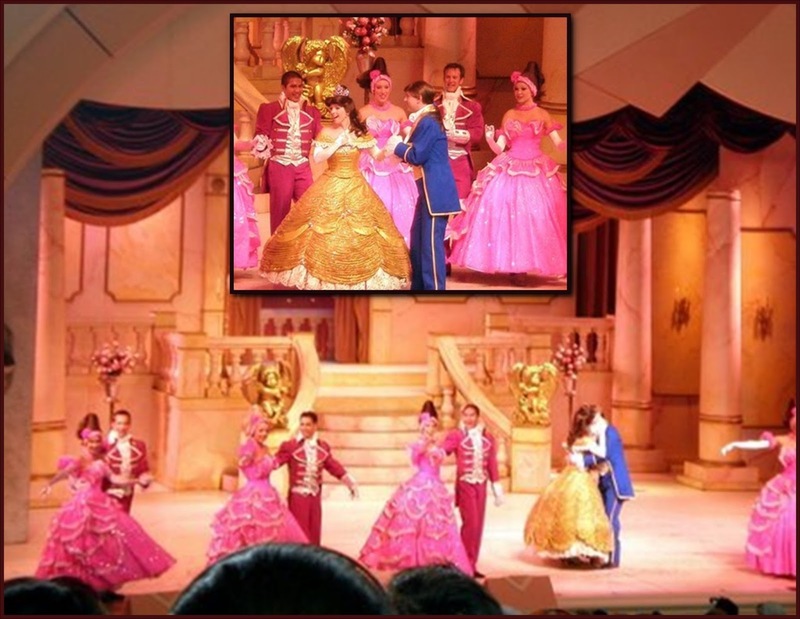 We'll check the Times Guide and arrive early for the Beauty & The Beast show. I like to sit right behind the sound guys - partially because I used to do sound and lights in high school and also partially because this is where you'll have the best sound for the show. I also love these seats because your view is not blocked by guests sitting in front of you. Later in the day, we'll take in a few more rides and shows. Using the My Disney Experience app, we can schedule new Fastpasses and also keep an eye on the wait times. Hopefully, the wait for some of our favorite attractions will be short at some point and we can get an extra ride in! 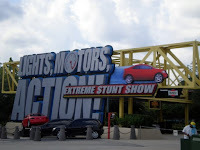 We'll also take in a few more shows such as the Indiana Jones Epic Stunt Spectacular and Lights, Motors, Action. We'll sing along with Anna and Elsa at the Frozen Sing-Along Celebration. Once the sunsets, we'll return to Sunset Blvd. This street looks beautiful at night, so we'll take a few pictures. Then, we'll visit Tower of Terror for another ride. This attraction is great during the day, but it's phenomenal at night. The nighttime adds so much to the theme of the attraction. Upon exiting Tower of Terror, we'll get a Mickey ice cream bar for our snack. It's my favorite! About an hour prior to Fantasmic, we'll get a place in line for the theater. Yes, there are Fastpasses available for this, but to me, it's not worth it. There are so many great seats for Fantasmic. As long as you arrive early, you'll have no trouble finding a great spot. I recommend sitting about halfway up, as you might get a little wet if you sit too close to the water. The fire can also get quite hot for those sitting close. Be sure to have your camera out for the show! Fantasmic makes for great Disney photos! After Fantasmic, it's time to head back to Pop Century. We'll catch a ride on a Disney bus and then make our way back to our room, taking photos of the resort lit up at night along the way. Then it's off to sleep to rest up for another fun Disney day tomorrow. 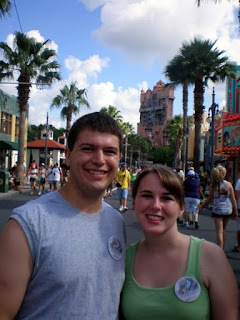 I hope you've enjoyed our day together at Disney's Hollywood Studios! 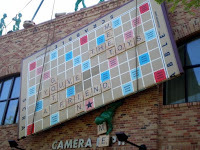 Be sure to stop by my blog, Frontierland Station, for Disney history, trivia, tips, and more. You can also find me on twitter, Facebook, Pinterest, Ingstagram, and Google+. Thanks to Donna Kay for hosting our day in the park together! And what a fun day it was Kimberly!! I am so glad you chose Hollywood Studios, I think it's the park that people know the least about. I know there will be a lot of changes coming to the park, but your day in the park shows that there will be even more to love in an already amazing park. Be sure to visit Kimberly at Frontierland Station, I promise you will love her blog!! Don't forget to follow her on twitter, Facebook, Pinterest, Ingstagram, and Google+ as well.